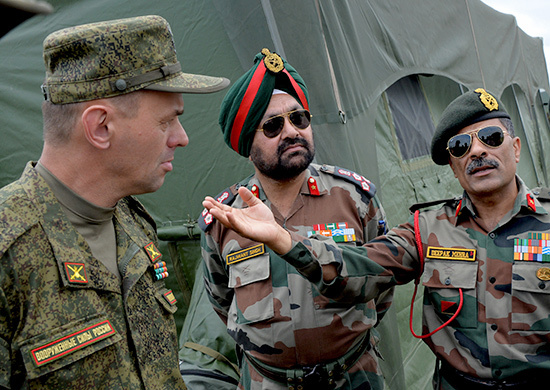 Russian Army Lt Gen Vladimir Tsilko and two Indian Armed Forces officers, Brigadier Rajwant Singh (C) and Brigadier Deepak Mehra. The 2017 iteration of the Indo-Russian bilateral and joint military drill will involve personnel from all three service branches from both two nations Indian and Russia, as the information according to the Press Information Bureau , which is a mouthpiece of Indian Ministry of Defense (MoD) that released a press statement yesterday 16 October 2017. The military joint cooperation is part of BRICS' Agenda. Since its inception, the BRICS has expanded its activities among member states mostly involves economic-financial,political governance spheres and inspiring the genesis of a BRICS military alliance. The Indo-Sino-Ruso-pact, would be is a serious nightmare for the imperialists. In the west, NATO appears to have the advantage of numbers, with 28 countries versus the five-member BRICS. However, this is an illusory advantage. In NATO, the US is the only large country with a considerable and sizeable population whereas all the BRICS countries except South Africa are of continental or subcontinental size. Most NATO countries are just colorful specs on the map. NATO in reality is a mismatched alliance. 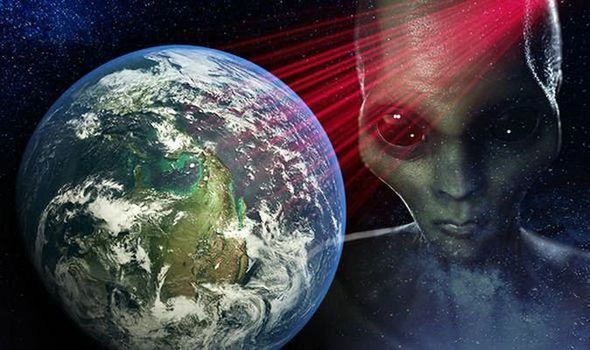 For instance, the US, France, UK, Germany and Turkey are the security providers whereas the likes of Latvia, Estonia, Lithuania, Croatia, Poland, Hungary,Bulgaria and others are the security seekers. “The year 2017 marks a major milestone as this exercise has been upgraded to involve all the three services of the armed Forces (Army, Navy, & Air Force), which further accentuates the importance of joint services in the present world environment,” the statement reads. According to a spokesperson of the Russian Pacific Fleet, the Russian military will participate in Indra-2017 with naval and air elements of the Russian Pacific Fleet, as well as aviation units and the ground forces of the Eastern Military District. Indian ships to arrive in Russia for Indra-2017 exercises on October 19 The opening ceremony of the Indra-2017 exercises will officially take place on October 20. “Exercise INDRA-2017 will be conducted at the 249th Combined Army Range Sergeevisky and in the Sea of Japan near Vladivostok. In earlier report it said that the Satpura frigate and the Cadmatt corvette would be dispatched to take part in the exercises. The Indian contingent will comprise of 350 personnel from Army, 80 from Air Force, two IL 76 aircraft, and one Frigate and Corvette each from the Navy. In total 900 Indian military servicemen will take part in the war game. The two countries will hold maneuvers that will involve three armed forces branches - the Pacific Fleet, aviation units and the ground forces of the Eastern Military District. “The Russian Federation Armed Forces will be represented by approximately 1000 troops of the 5th Army, Marines and Ships of Pacific Fleet, and aircraft from Eastern Military District. 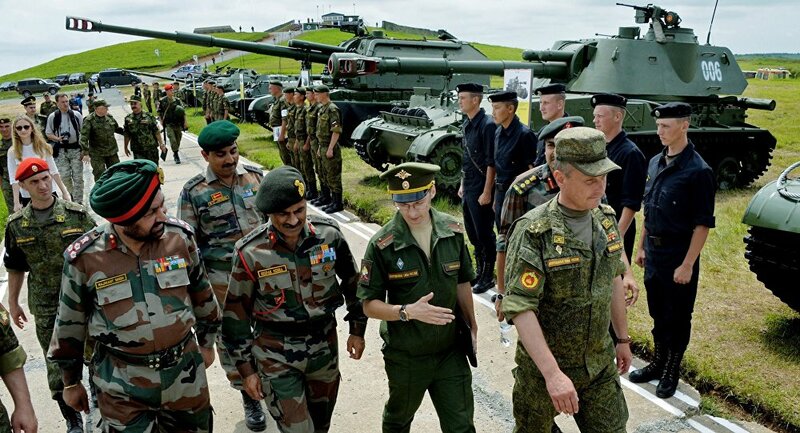 Indra-2016, a Russian-Indian joint exercise, that took place in Ussuriysk,Russia. Since its beginning in 2003, the Indra military drill has alternatively involved Indian and Russian ground and naval forces. Last year the Indra-2016 was held from December 14 to December 21 in the Indian port of Visakhapatnam and the Bay of Bengal. Both countries also conducted a joint counterterrorism exercise under the Indra framework in 2016. The exercise involved around 500 military personnel from both sides and focused on counterterrorism operations under a United Nations mandate. For India, the major emphasis during the drill will be on enhancing inter-service cooperation and synergizing jointness. The Indian military has been pushing towards better integration of its three service branches based on a warfighting doctrine emphasizing joint operations. Beyond that, India’s military seeks “complete and effective inter-operability” with “countries, big and small” in order to effectively conduct military operations overseas, The Diplomat reported in an article analyzing India’s latest Joint Armed Forces Doctrine. The Indian and Russian defense ministers signed a military cooperation roadmap during the 17th meeting of the Russian-Indian inter-governmental commission for military-technical cooperation in June of this year. The document is meant to be the basic document in planning bilateral military contacts between the two countries. Another potential venue for Indo-Russian military cooperation has been opened up with India’s accession to the Shanghai Cooperation Organization earlier this year.